It’s nap time for the itty bitty kitties, but they just want to play! Help them jump, bat the yarn balls around, and race to the basket without catching a look from the watchful eyes of the mommy cats. Each turn, roll the dice, look for the mommy cat matching their colors, and lift one. If she doesn’t catch you, your kitten advances one yarn ball closer to the basket and you get to go again. If she spots you, it’s the next players turn. The first kitten back to the basket wins! 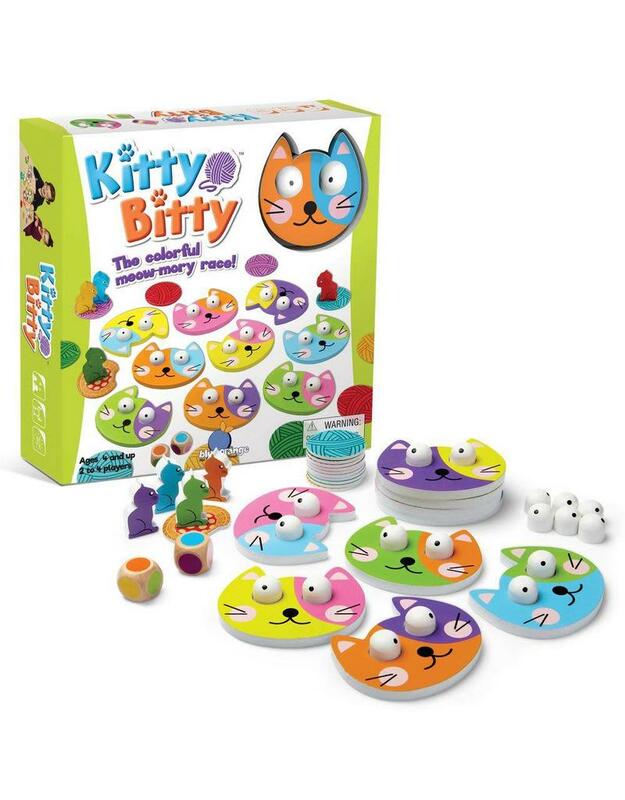 Players must correctly identify colors, and remember which mommy cat eyes will catch the kittens so that the fun never stops in this adorable memory game.